The Texas Social Media Research Institute serves the local community and organizations throughout Texas on a regular basis through free webinars and weekly chats promoting best social media practices. 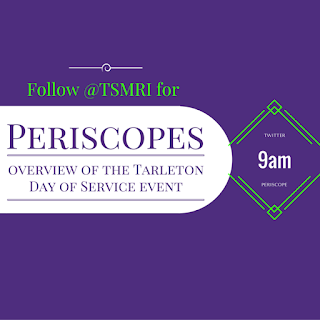 TSMRI additionally helped served students by participating in Tarleton State University's first official Day of Service on April 7th, 2016. For the Day of Service, TSMRI orchestrated a day of various Periscopes promoting the on-campus food pantry in creative ways. We started the morning off with a simple "Overview of the Day," leading on to "Why We Need the Food Pantry and Its History." Then we live-streamed "Short Recipes" that were fit for Twitter. 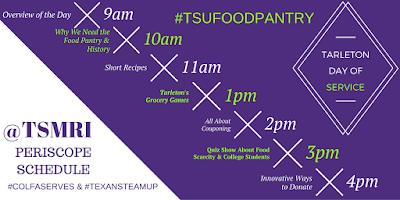 One of our bigger events of the day was the "Tarleton Grocery Games," which was our own rendition of a television-worthy cooking show that highlighted ingredients that could be found in a food pantry. Next we discussed "All About Couponing," and held the "Quiz Show About Food Scarcity and College Students." 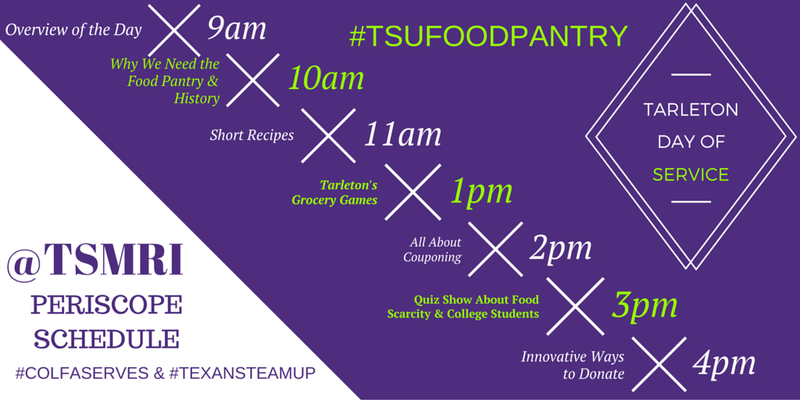 Lastly, we live-streamed "Innovative Ways to Donate" to the Tarleton Food Pantry and reflected upon our experiences throughout the day. We will be posting every weekday for the next two weeks breaking down TSMRI's service on April 7th and how that effort will have an ongoing positive outcome for the Tarleton family. 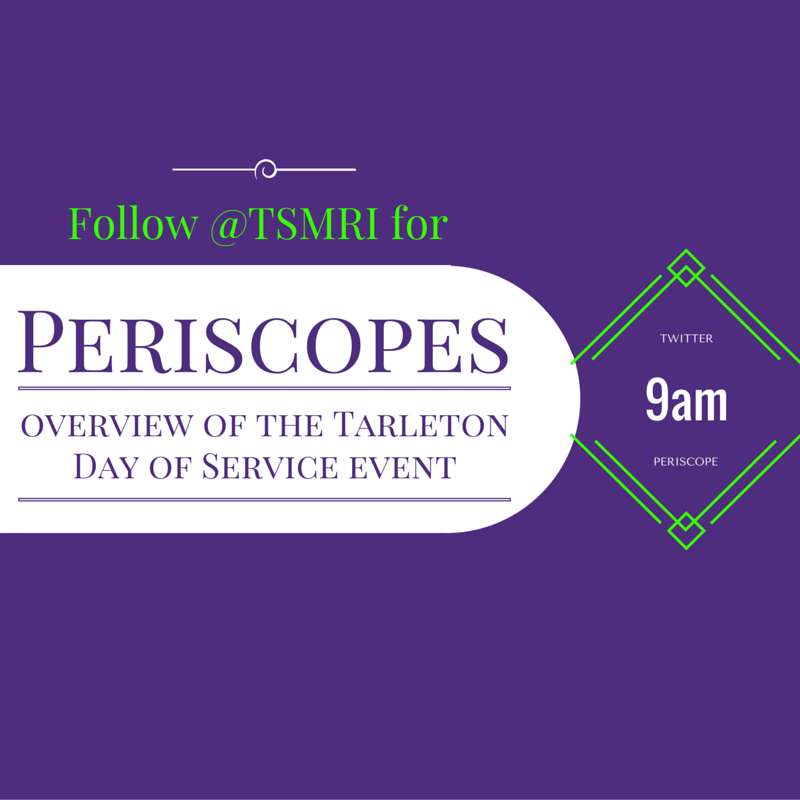 Subscribe to our blog and watch our social media accounts for future posts on the TSMRI and the Tarleton Food Pantry on the Day of Service.